The Gai Waterhouse and Adrian Bott-trained Invincible Star has a slot in the $13 million Everest. Invincible Star has secured a slot in The Everest, joining her Gai Waterhouse and Adrian Bott-trained stablemate English in the $13 million race. The mare is a Group Three winner and finished second to Merchant Navy in the Coolmore Stud Stakes last spring with the winner going on to claim the Diamond Jubilee Stakes at Royal Ascot after being transferred to Irish trainer Aidan O’Brien. Invincible Star will race for GPI Racing, a part-owner of Chautauqua who finished fourth in The Everest last year but is the subject of a racing ban unless he passes two official barrier trials. There are now two slots left in The Everest on October 13 with the Australian Turf Club and a group led by Max Whitby and Neil Werrett yet to announce their runners. Whitby and Werrett had originally selected Menari who suffered a suspensory injury and was retired to stud. Invincible Star won a barrier trial last week by almost 10 lengths and has been introduced to Everest betting at $15. 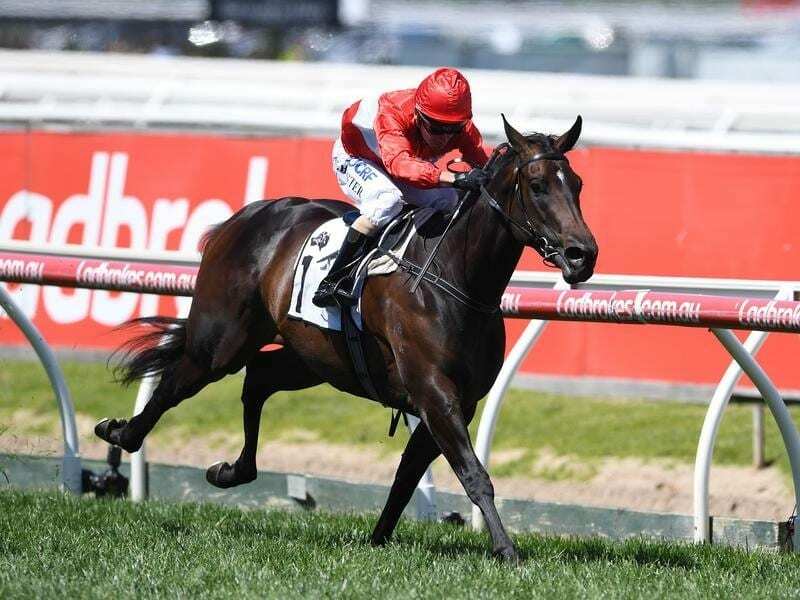 Trapeze Artist heads the market at $4.50 with the inaugural winner Redzel at $6.